OBSID, with the support of PPA and BEN Bikes, hosted a “bike bus stop” hub each Friday morning during October 2018 along the Open Streets Bike2Work “bike bus” route. The Bike2Work bike bus is an Open Streets Cape Town initiative intended to encourage people to use low carbon transport when moving around the city. Current bike buses end off at the Civic Centre in the Cape Town CBD. 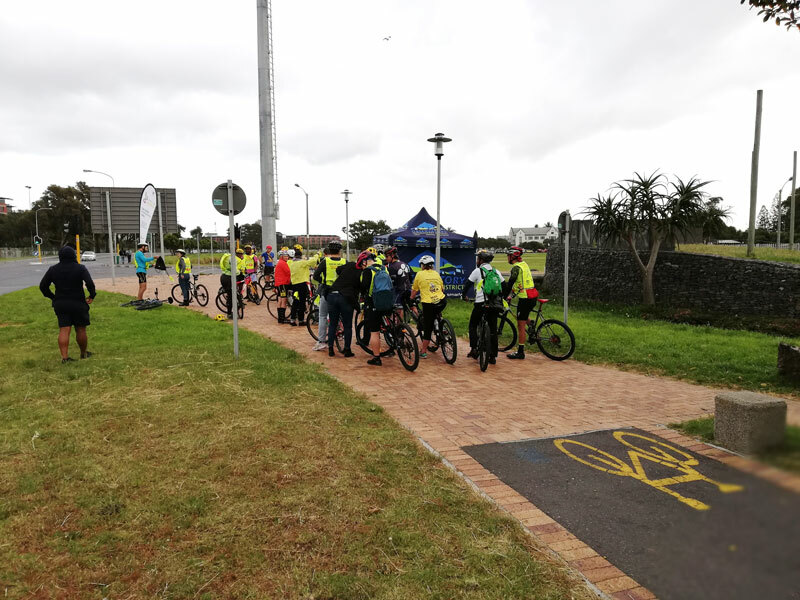 Starting from Palmyra Junction in Claremont and the Gugulethu Police Station, bike busses arrived at the OBSID hosted “bike bus stop” which was located at the corner of Station Road and Liesbeek Parkway (on the cycle track) in Observatory. 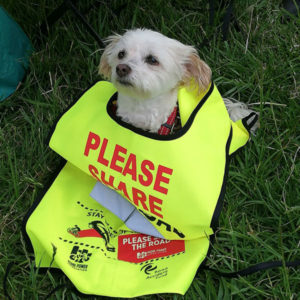 The stop provided a safe spot for bicycle riders to stop and take a breath, wait for other riders, be given safe cycling information and kit and was a hydration station for around 60 cyclists during the month. 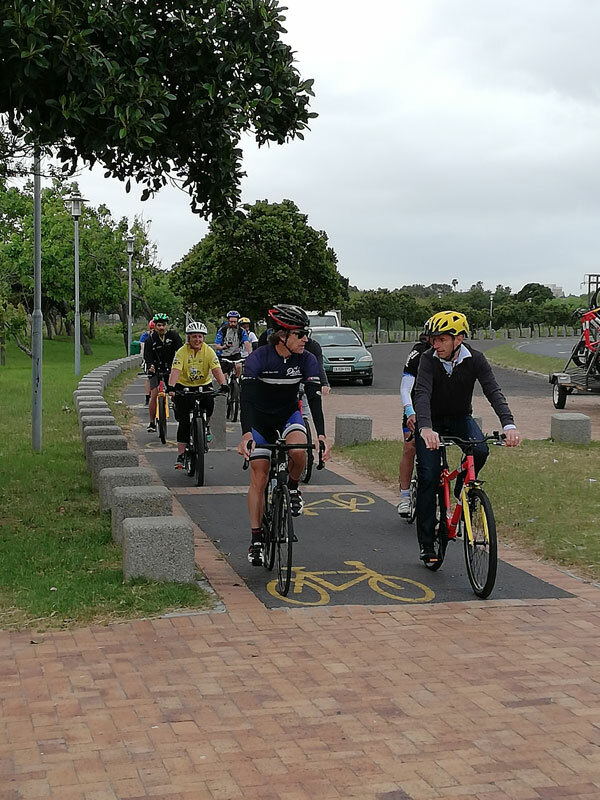 The Bike2Work bike bus was joined by special guests such as David Schmidt, Minister Alan Winde, Tim Mosdell, Sebastiaan Messerschmidt (Consul General of the Kingdom of the Netherlands), and Helen Davies. 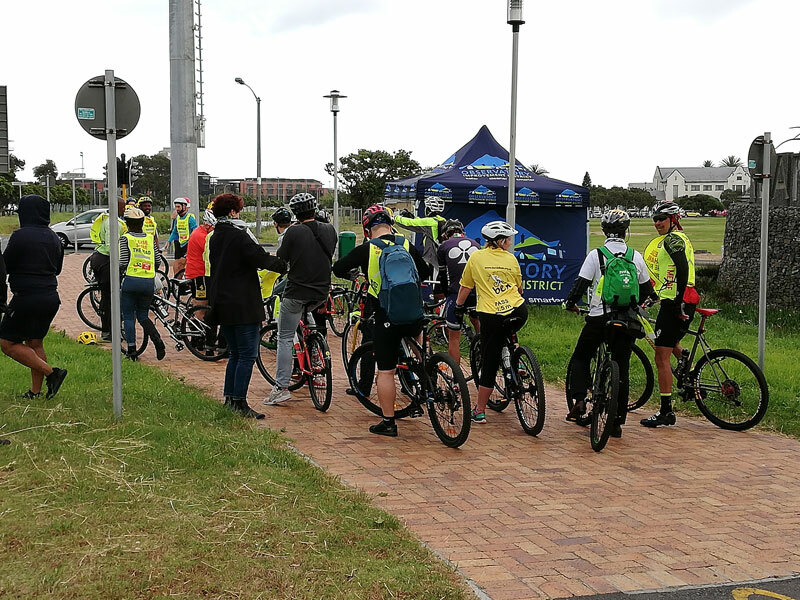 If you live in Observatory, and work in Cape Town, join the bike bus each Friday morning around 07h20. You’ll catch them at the bottom of Station Road on the cycle track. 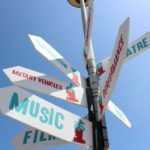 A big thank you to Jacques, Janet, Antony and Jason for the help with making the “bus stop” such a success – and to Lauren Cox and Sandy (now the bike bus official mascot) for the cheerleading support! 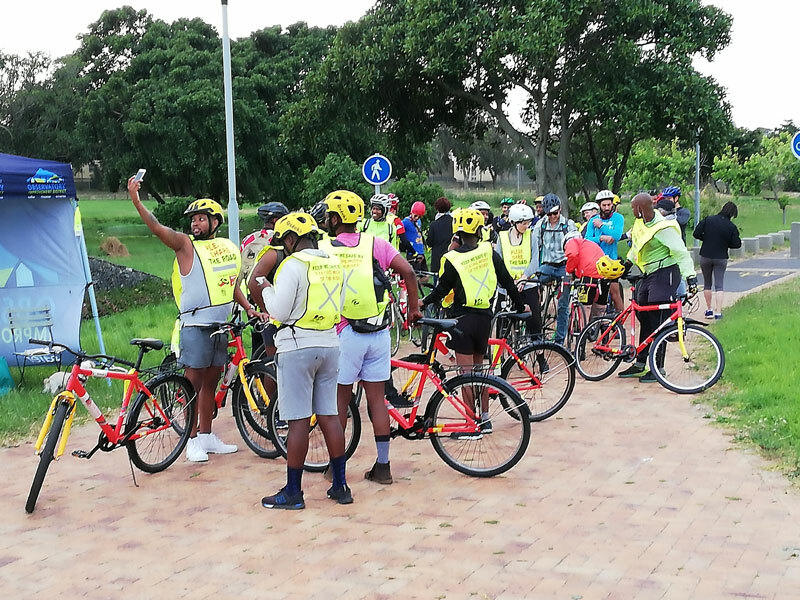 For more information about the bike bus, contact Sindile Mavundla at Open Streets on 084 551 2053 or email sindile@openstreets.co.za. 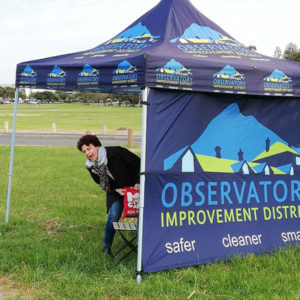 If you want to help out at the bus stop, contact Amanda Kirk at OBSID on 021 448 7090 or email ceo@obsid.org.za.